Thanks to tight G Suite integration, Hire syncs up with Gmail and Calendar, plus it can also output data to Sheets. 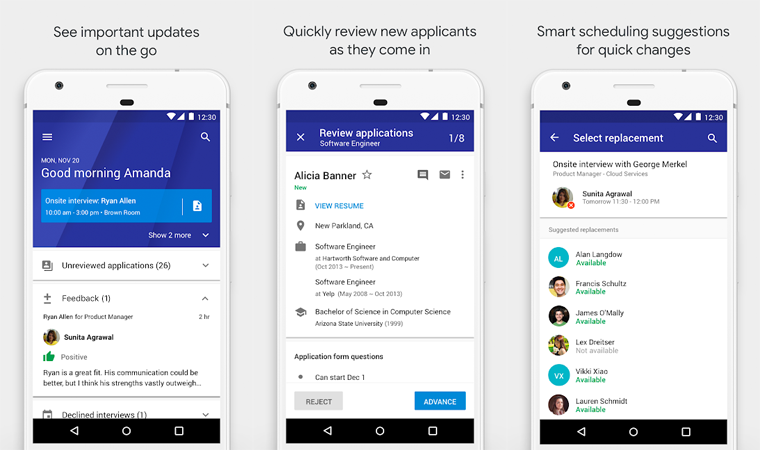 Back in June, Google announced some new features, including improved interview scheduling, auto-highlight in resumes, and click-to-call functionality. All of that is available in the Android app, which is on the Play Store as an unreleased initial listing. You need to have already signed up for Hire to be able to use it, of course. If you've already done that, you can try the Android app now — we've got it over on APK Mirror if you'd rather install it from there. As a bonus easter egg, of sorts, it seems someone accidentally added some Ice Cream Sandwich era screenshots of Google+ on a tablet to the Play Store listing. Hello, old friend.